Shenzhen is a major city in the south of Southern China’s Guangdong Province, situated immediately north of Hong Kong. The area became China’s first and one of the most successful Special Economic Zones (SEZs). As the outpost of Pearl River Delta Area, Shenzhen is the bridge connecting mainland China and Hong Kong, serving as an important transport hub in the coastal area of South China. Hi-tech, modern logistics, financial services and cultural industry are the four economic pillars of Shenzhen. Shenzhen is located in a humid subtropical climate zone. Spring is from March to May. The season begins warm and relatively dry but is known for being unstable, with increased rainfall closer to summer. The average low and high temperature is respectively at 21 °C (69 °F) and 27 °C (81 °F) in April. A long-sleeved shirt, sweater, and light clothes are recommend for this season. The best way to get around town is either by taxi or on the metro. 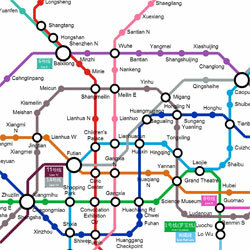 Shenzhen boasts a well-planned and smoothly-operated Metro system. It’s fast, efficient and inexpensive. Rush hour on the metro operates at overcapacity, however, where you get to experience the full meaning of “the big squeeze.” View metro map. More than 16,000 taxis serve the city. They are mainly in three types of red and green cars and electric cabs. The red ones run both in urban and suburb areas (the urban areas usually refer to Luohu, Futian, Nanshan and Yantian Districts) and they are in the largest quantity, over 11,000 cars. The electric ones, in blue and white, cover the same areas as the red cabs. The green ones only operate in Bao’an and Longgang Districts as well as Pingshan, Dapeng, Longhua and Guangming New Areas (these are the so-called suburb areas). Taxis are ubiquitous and cheap, but flagging one down during rush hour or during a rainstorm requires staying power of a high order. ATM machines or Bank Automats are common in China. They are easy to find at the Airport and Train Stations, so you can get your Chinese Yuan as soon as you land. Also you can exchange money in the reception of the the Grand Hyatt Shenzhen, the conference venue hotel. You will see the familiar ATM networks on ATM accepting Visa, Master Card, Cirrus, Plus, etc. used by most international financial institutions. Instructions will be available in English which makes it easy, and the process is exactly the same as at home. The amount that can be withdrawn depends on the network and your own bank limit, normally about the equivalent of US $400, ¥2,500. Banks will normally levy a service charge. It can be a fixed minimum like US $3 while some banks charge a percentage of the amount withdrawn. You can inquire at your bank. 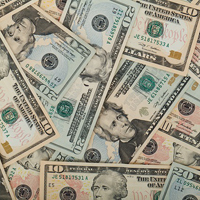 It is well worth not having to carry big quantities of cash on hand. Credit cards are not widely accepted in Shenzhen. Other than at hotels and international restaurants, and the larger shopping centers, you will need cash for just about everything else: taxis, small shops and restaurants, ticket counters, etc. If you plan on using your credit card, be sure to alert the bank that issued your card back home and let them know you will be traveling abroad and the dates of your trip to prevent them from blocking your account when they see any “foreign transactions” which could be suspicious or “outside the normal range of activity”.